Below - guide book pages referred to in my Walker's Tips. Buy it here. "I grew fond of my guide with his quirky self-deprecation.... This is as much a journey into an unusual mind as it is about the Island" - Madeleine Bunting, Resurgence. 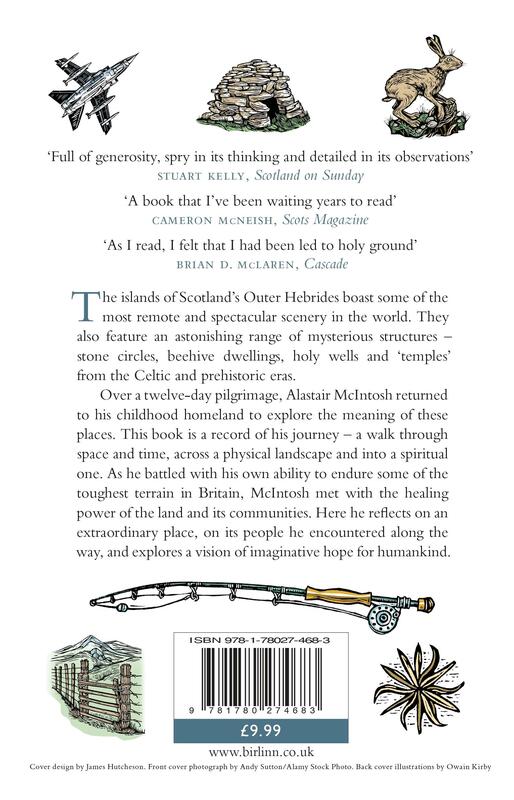 ~ Two people, Jason Reese by foot and Allan MacLeod by canoe, have made pilgrimages to Eilean na Caillich on Loch Langabhat in Harris (not to be confused with the Lewis loch by the same name). Jason's picture, which includes the start of the causeway (now mostly submerged, can be seen about a third of the way down this in-depth review article published in Beshara Magazine. ~ At a talk I gave in Oban Library in summer 2017, two women came up at the break and told me the remarkable tale of how they had tried to retrace my steps across the Harris Hills with a pair of Highland pack ponies. They had not realised that the bogs near Kinlochresort really are as treacherous as I'd described them. They had a very difficult time. The ponies got bogged, and had to turn back after a struggle of several days. What most bothered one of them, there being no mobile phone signal in the area, is that her husband hadn't even thought to alert the rescue services. ~ A group of over 40 visitors from the New York Open Centre to St Peter's Temple in Ness, followed by a historic session in the Free Church at Cross, where the Psalms were sung or recited in Gaelic, Icelandic, Spanish, Slovakian, Welsh, Mandarin Chinese and their original Hebrew (by two of the Jewish folks present). Pictures of that day and audio of the Gaelic and Hebrew can be found at this Twitter link. 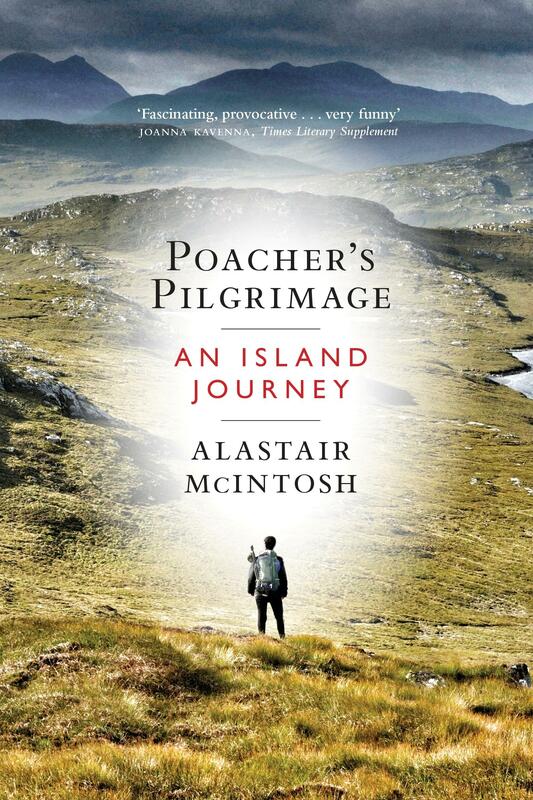 Walking the isles: Since Poacher's came out, I've been getting quite a few people who hope to visit Lewis and Harris asking me where to walk on the island(s). I try to answer all reader emails, but often time permits only a one-liner. What follows is a more full response made to an American visitor. I have edited it to be of more general value, but it is far from comprehensive so take it as just a starting point. There are, of course, the many places that I mention in Poacher's Pilgrimage to which you could walk. But for people needing something less wild, the temple sites and wells that I describe are all very accessible, being close to places of continuing habitation. If you visit these, please be really careful of them. The ruins and the stone surrounds of wells are mostly very precarious. I'd hate them to suffer any damage by, for example, people climbing on them. Bear in mind that some of these places are in or near to village cemeteries that remain very much in use. If a funeral is happening, it would be best to come back another time. Another thing to keep in mind is that Sundays on the island continue to be treated as a Sabbath, or day of rest and spiritual contemplation, with most shops and filling stations closed. The majority of local people will appreciate if decorum is shown on a Sunday by not larking around, especially near to their churches and cemeteries. The first thing for visitors to understand about walking in Scotland, is that since confirmed by our Land Reform Act (2003), there is freedom to roam and wild camp in most places in Scotland. We shun the proprietorial sense of private “property”. Rather, the land is for the respectful enjoyment of all. On the island, you can go anywhere by foot, without permission, except through "curtilage" which is to say, people’s gardens and immediate house surrounds. Even fenced agricultural land can be crossed provided that you don’t damage crops or scare the animals. If having to jump a fence, try and do so at strainers (the big posts) where you are least likely to cause damage. In wilder land, especially the mountain areas, please be mindful of not going within line of sight of deer stalking. Stalking is the most humane way of culling deer numbers. It takes place for stags from 1 July to 20 Oct, and for hinds from 21 Oct to 15 Feb. If in doubt, phone the estate in question (the Visit Scotland office should have their numbers) and ask for their advice. Remember that you have a right to walk, but it's about mutual respect. The sheep and cattle that you'll see out on the moors mostly belong to crofters, the small-scale local farmers. Please keep any dogs on a lead if anywhere near them. Even if your dog is well behaved, having it on a lead will reassure crofters who may be anxiously watching through binoculars from a distance. Again, it's about respect. Many have had bad experiences of sheep worrying, especially in the late winter and early spring when a sheep may abort her lamb. And then the weather. The Hebrides are famous for their wild Atlantic storms. Some visitors come especially for the experience. You might get a week of Caribbean sunshine, but more likely you’ll get gales with driving rain. If walking any distance, prepare for all eventualities. Within the course of an hour you can be needing sun cream and sunglasses, then heavy duty waterproofs. Always have sound footwear. The best months for weather are April to June, especially May. The midges - swarms of tiny biting flies that come out in flat calm weather - begin at the end of May, peak in July and August, and finish around late September. October and even November can be pleasant months as the "Gulf Stream" keeps the island warmer than its latitude would predict. For a real retreat like experience, come in the winter months. Local people also have more time to talk then. If using ferries, bear in mind that they're prone to disruption when there's gales. The airline that serves the island is notorious for running late, even cancellations, so be wary of tight connecting flights and take out insurance. There is a good bus network, though services are mostly several hours apart. Timetables are here and they seem to be synched in with the excellent Traveline Scotland online transport site with its own app too. Be careful of both English and Gaelic spelling name variations as these give null results. For car or minibus hire, I usually use Mackinnons, but for no other reason than past good experience such as you'd probably find across the board. Prices start from £25 a day. For coach hire, I use our own village's Lochs Motor Transport (I mean, Roddy Dan always ran the school bus very well, and no way could I vouch for such services from any other village). For accommodation, there are very few bed and breakfast places on the island. Visit Scotland has accredited ones on their books, others will be found on Airbnb. Book early, especially in the June - September tourist season. I don't know much about hotel accommodation, but I love taking groups to the Harris Hotel in Tarbert, described in Poacher's Pilgrimage as "a wonder of the old world, a venerable fisherman's rest that is run to new world standards." There is a network of hostels and bunkhouses through the islands. Staying at these with self catering can provide a great transient experience of community. See the list here. Remember that you will mostly not get mobile phone signal in remote areas where you might go walking. Even in populated areas, coverage is patchy and varies with the provider. At the time of writing, EE is the only mob (cellphone) company that provides 4G around Stornoway. They now have the emergency services contract (which means they have to do repairs quickly). Traditionally, Vodafone has been considered best for phone signal coverage, but again, mainly along the arterial road routes. Coverage maps for areas with weak signal are optimistic, to say the least. These days when walking I take with me a satellite operated personal locator beacon that I got for sea voyages in the canoe. If parking at a remote location, leave a note on your windscreen saying where you're going, when you set off and when you hope to be back. Remember that the island is very safe, so giving such instructions is unlikely to cause your car to be broken into such as might be the case in some other places. 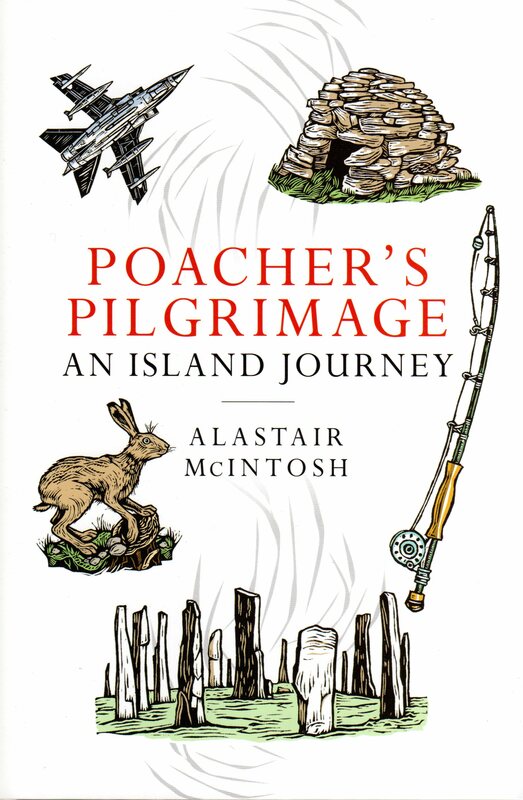 In Poacher's Pilgrimage I have given descriptions for the main places that I visited. The grid reference and description for St Bridgit's Sheiling is on p. 21 and pp. 198-9. 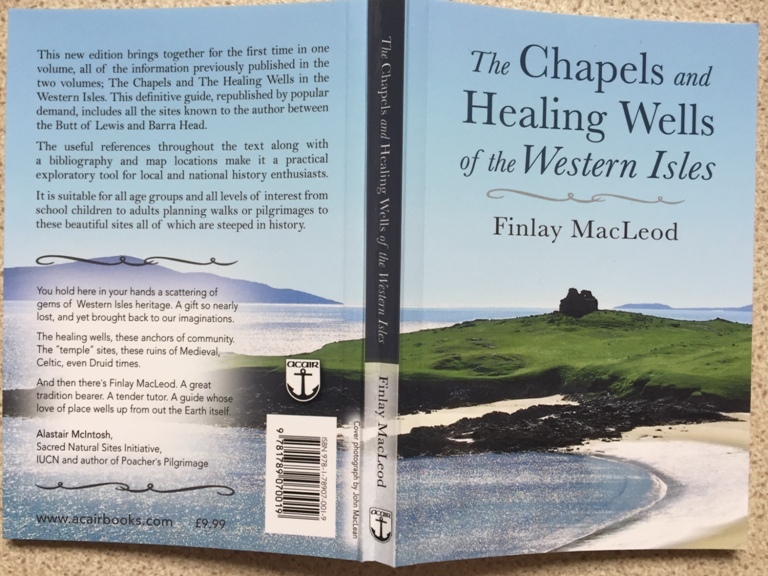 Dr Finlay MacLeod's little guide books for the chapels (temples) and the wells were out of print, but are now available again as of 2018 as a two-in-one edition from Acair books. For most inquiries, the first port of call should be the Visit Scotland tourist information offices in either Stornoway (Lewis) or Tarbert (Harris, open seasonally). A number of walking websites come up on the internet. Google variously Lewis, Harris, Outer Hebrides and Western Isles. Amazon.co.uk (don't use Amazon.com if you want the widest selection) comes up a numberof walking books. Because I don’t need these, the only one I have is the little pocketbook, Walks Western Isles (£2.95), of which a sampling below (underneath the photos on the left). There is a walking club with a phone contact here. For local guides, perhaps inquire at either of the two sports shops on Francis Street, or the Lewis Sports Centre. Events such as walks organised by local historical societies are often notified on We Love Stornoway. If you only have a short time on the island, here's a few walks to consider. Four of them are covered on on shared pages in the Walks book, so I've scanned those underneath, hoping that the publisher won't mind a little such publicity. Mount Roineabhal, South Harris: At my fittest I once climbed this in under an hour, but to enjoy it you need to give a full half day, say 2 hours up and an hour down. Ascendfrom either the back of Leverburgh on the Finsbay road (there's a wee track leading part way up) or from Rodel, setting off near where the single track road begins just north of St Clement's Church, on the east coast road. That way, you'll have a gradual ascent, with wonderful views opening to the southern isles, over to Skye, and even out to St Kilda on a clear day. Roineabhal was the "hill" that was saved from being turned into the world's biggest roadstone quarry. How come I call it "Mount Roineabhal"? That was part of our highlighting its significance, and sitting as it does in a National Scenic Area. The story's told in another of my books, Soil and Soul, as well as being updated in Poacher’s Pilgrimage. For an idea of what the ascent from St Clement's is like, see the pictures that I posted here, about the day that we returned the summit rock. When you're looking south and west from the summit, you survey a sacred landscape. Very few of those tiny islands do not have associations with holy wells, temple (i.e. pre-Reformation chapel) sites, names suggestive of bygone monasteries or prehistoric stones or cup marks on the rocks. I just love it when, as in the example given on p. 35 of Poacher's, people write and tell me that they've made "the pilgrimage" up Roineabhal. The Clisham Horseshoe, North Harris: This is an 8 – 12 hour mountain walk, up the island’s highest mountain (Clisham) on the Harris border with Lewis, and then on around several other peaks. You need a car to get there, or synch with buses but with the backdrop of a taxi number in case you take longer than planned. I walked it three years ago, it was fantastic but I was fair whacked. The version shown in the map below is just up and down the Clisham which is much easier, but also very dramatic on a clear day. Huisinis Ring – I’ve not yet walked this, but it's on the same guide book double spread as the above, and putting it here will remind me for when next I get the chance. Stornoway Castle Grounds: These wooded grounds run for miles and miles through lovely winding paths, with the mouth of the River Creed a highlight. Much of the walk from Stornoway is suitable for disabled access. Coastal Walk Gearrannan Blackhouse village to Bragar: This is a beautiful stretch of coast, mixing a majestic wildness with gentle human habitations. There's also a hostel and self-catering accommodation at Gearrannan. Bragar is the site of one of the most adorable temple sites, Teampall Eòin or Cill Sgàire, the chapel of St John (the Baptist). On the map below, it's where it says "cem." (cemetery) at the far right, down by the seashore. These are corrections to the original Birlinn hardback edition of 2016. They have all been taken up in the Birlinn and Cascade paperback editions of 2018. One that got overlooked, however, is that in my description of the three wise women of Leac a Li in the chapter, "The Blacksmith's Well," I wrongly said that it was Jessie who had offered me a lift. It was Anne. As Jessie said it to me, "Oh my dear, but I do not drive a car." General: On the Gaelic, Dr Finlay Macleod of Shawbost says that the care taken with Gaelic place names is "remarkable", but he has sent some minor corrections, mainly missing accents or misplaced apostrophes. Subsequent editions will use Gaelic standardised to his standards. P. xvii. I had wrongly described my brother-in-law as having been serving "in a very junior capacity" with respect to the Advanced Command & Staff Course back in 1996. Actually, he was promoted very fast while very young, and had become a Lieutenant Colonel at the time. P. 3, change date from 9th to 8th. P. 60, change "the doctrine of total depravity hinges on predestination" to "... sits alongside that of ...". P. 107, change "metal that emits beta radiation..." to "metal that can emit beta radiation...". P. 216, after New World, add, "Donald Trump is a case in point." P. 261, top of page, for clarity add red text: "They don’t fire guns, but they’re an integral part of the fighting unit." P. 263, after "fire of love" add, "The cross absorbs the violence of the world." 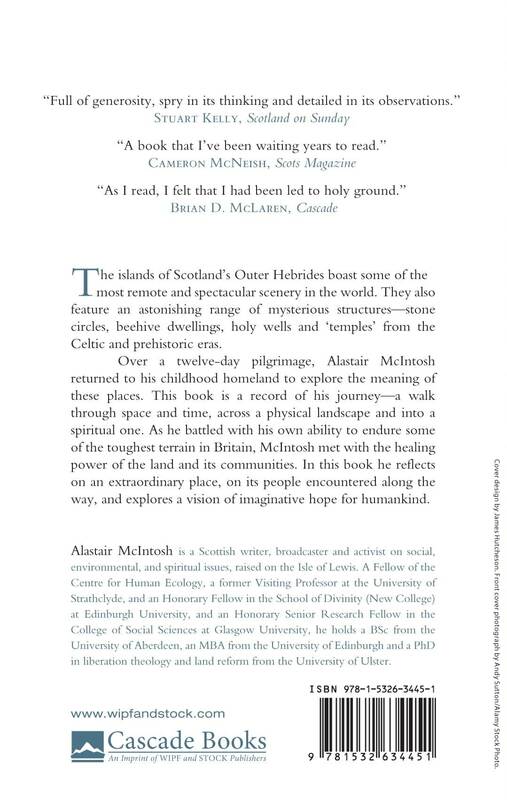 P. 295: Finlay pointed out that the bibliography wrongly assumed that two island historians, both called Donald Macdonald, were the same person. Macdonald, Donald (of Gisla) (1990) should read (of North Tolsta), and the entry immediately below it should be separated out and listed as Macdonald, Donald (of Gisla) (2004 reprint). He was the one nicknamed "the Dolly Doctor". P. 314, foot of page, delete after "in Chapter 11" and in the space freed up, add new sentence: "For my research on the 1820s Mackenzie clearances of Trump's maternal ancestors, see: https://goo.gl/zzCMB8. P. 329, add to index, "Trump, Donald 216, 232, 314n" and "Violence, absorption by the cross 263". Caption in page 5 of the colour plates - "John Matthew Barrie" should read "James Matthew Barrie".